The role of sales manager is quite a handful, until you take the time to properly establish sales call tracking systems. As a sales manager, you are responsible for simultaneously ensuring consistent growth for your employer, keeping tabs on multiple loose ends–threads which stretch infinitely, if your marketing team is doing their job right–and, maintaining or enhancing the quality of service to new customers. With all of these balls to juggle, there is simply no way it can all be done manually. Even with a team of professionals, customer complaints can get overlooked, leads fall through the cracks, and revenue suffer as a result. Establishing systems which automate, streamline, track, analyze, and perform quality assurance, however, gives you and your team a fair chance. It is possible to consistently exceed sales goals, effectively utilize the hard-earned leads generated by the marketing team, and treat customers to a personal touch, which endears them to the company. 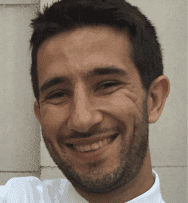 You just need to outsource some of the manual and tedious data curation and analysis to machines – which, in 2019, is easier than ever before. To ensure your team is operating on all cylinders, you need to measure multiple key performance indicators (KPIs). Response time to calls and conversion rate are a couple of hard metrics you will want to assess, while it’s also worth performing quality assurance to minimize churn. Sales call tracking can maximize your team’s performance, if you know what to measure, and which tools enhance output. Let’s quickly define KPIs, and then showcase the features and products you can leverage to optimize those metrics. As a sales manager, you are primarily concerned with revenue, closed leads, and number of calls. We’re explaining those, and a few more metrics below, broken down into three distinct categories: dollars, calls, and customer experience. Revenue: Perhaps the mother of all sales KPIs, your sales team must hit quarterly and annual revenue goals. Keeping a running tab on this KPI will ensure your team remains on track. Conversions: It’s important to keep tabs on the percentage of leads your team is converting into paying customers. If your company offers different tiers or price points, break this down further into which package or service. Number of calls: How many calls are your sales representatives fielding every hour? Are they inbound or outbound? This is going to tie into your above KPI of conversions. Incoming call response time: For inbound calls, did your sales team get to the phone in time, or did a lead go to voicemail, and eventually get lost in multiple, unanswered follow up calls? Automatic forwarders can help with this, and we’ll dive into that below. Average time on call: This isn’t to say that you should drive average time on call down or up. Only careful analysis of your data will inform whether or not time on call seems to impact conversion rates. Thankfully, you can let a computer crunch those numbers for you. Quality assurance: Less tangible than a single cell of data, measuring the quality of each customer interaction is critical to maintaining a positive experience throughout the customer journey. Churn: Your churn rate is a direct reflection of the customer’s experience. While there are other factors at play which may be out of the hands of your sales team–the quality of your company’s product or service is one–a high churn rate is a red flag. Your inbound sales team may be setting customers up for failure, or failing to effectively manage the transition of converting a prospect into a successfully onboarded customer. If the number and variety of KPIs you are responsible for managing seems overwhelming, not to worry. There are several call tracking features on the market today which will make your job easier, from automating the curation and analysis of data to streamlining systems in a manner which directly improves the prospect and customer experience. 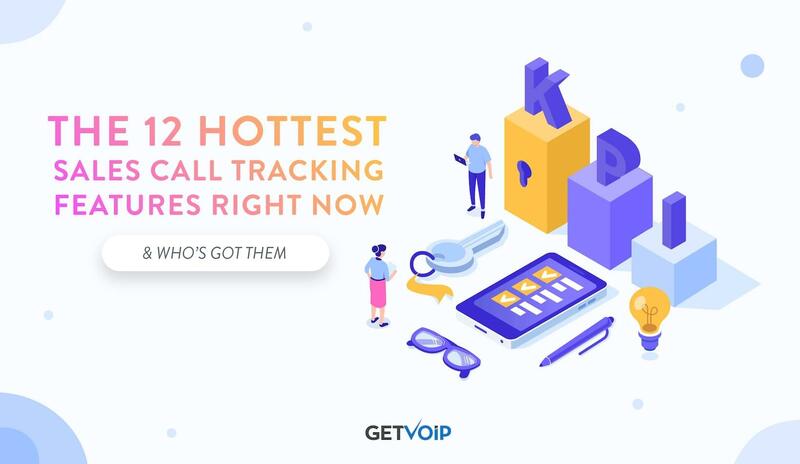 Because you may not need assistance with every KPI, we’ve listed the top 12 most useful call tracking features below, and the companies whose products are leading each category today. 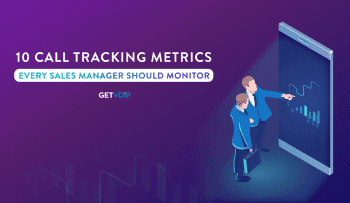 First up, which features can you use to increase your team’s sales figures, as well as automate and increase the accuracy of tracking your success? A manager favorite, a sales leaderboard provides an overview, so you can see who’s delivering, and who’s not. Make your leaderboard accessible to the whole team if you want to drive sales figures with a little friendly competition. If your reporting and analytics dashboard doesn’t track conversion rates, it’s missing a key element. Dive a little deeper than a leaderboard which presents a broad overview of total sales. With conversion tracked by campaign, your team can assess which marketing funnels convert best, and deliver feedback to the marketing team on where their budget may be best allocated. This software will automate qualifying leads, so that your team only contacts those which are ripe for conversion. It’s important to know where your prospects are in their customer journey, and lead scoring allows you to avoid pulling the trigger too early, or wait too long and miss a perfect opportunity. You don’t need to hover over the lead-scoring chart waiting for a prospect to cross a specific threshold. One useful sub-feature is the ability to enable notifications, which will ping the correct sales team member when it is time to make initial contact, or follow up. Sales teams of every budget level should be using a customer relationship management (CRM) platform, and you need your sales call tracking software to integrate with your CRM. The best software with this feature available today integrates with everything ranging from enterprise-level to freemium CRMs. Pro tip: Automate your marketing by funneling customers into the correct segment, triggering the appropriate marketing campaign to facilitate their continued customer journey. Your marketing team will love you for this call tracking feature. It is time for the actual sales call. Hopefully, your team has moved beyond operating off of scraps of paper scattered around their desk. While there may be moments of excitement, you should also be well past diving to catch an incoming phone call before it stops ringing. If your inbound and outbound sales calls could use a little optimization, the below features should streamline your reporting and analytics, increase the total number of calls and sales, and decrease the amount of pressure on everyone involved. Similar to a sales leader dashboard, a call reporting and analytics dashboard will automate data analysis so that your team can easily assess which customer segments and marketing campaigns are outperforming others. You will want to be able to apply multi-channel call attribution as part of this, so that when you deliver feedback (automated or manually) to the marketing team, you can closely analyze the efficacy of each of their campaigns. Advanced routing improves your inbound response rate, no matter whether a customer calls toll-free or local. Because you can program it to only send calls to available sales representatives, advanced routing means that you needn’t ever lose a call, no matter what time of day it comes in. With the whisper message sub-feature, each call is accompanied by details such as the caller’s location, which advertisement funneled them to the sales team, any webpages they’ve viewed, and other useful details. If you don’t employ advanced routing, you certainly need to use a lead capture feature. The quicker you return calls, the more likely you are to close a sale. Lead capture can minimize callback time, increasing conversions. Voicemail drop significantly increases your sales team’s efficiency. With this feature, you can sneak into a recipient’s voicemail without their phone ever even ringing. You might use voicemail drop with a pre-recorded call that you send out to an entire list. Or, maybe you have a segment of prospects with whom you want to plant the seed. With all of the work that goes into making a sale, your team should take care that each prospect is treated respectfully throughout their customer journey. Each sale is a huge investment for your company, and you want to ensure a high lifetime value (LTV) for each account. If your job entails overseeing multiple sales representatives, you may only have time to perform quality assurance in critical areas. The below features are not only preventative, by creating systems that instill confidence–as opposed to frustration–in your prospects, but also help you identify where your expertise is most needed, and when. With the pressure on your team to conduct so many outbound and inbound sales calls, there is a danger to let quality slip. It is critical that your prospects and customers are treated with respect, listened to, and valued along their entire customer journey. 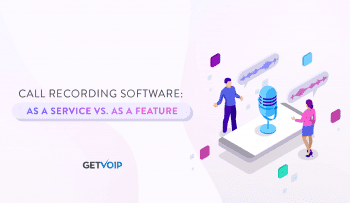 Call recording is a very useful feature for sales managers and their audit staff to manually dive into quality assurance, especially when there are trends raising red flags, whether that be an individual team member whose conversion rates are down, or a particular service offering that just isn’t making its numbers. Recorded calls give you the chance to listen to any sales call you want–even days later–to determine where the missing link in your sales funnel is, and how best to repair it. Consumers are savvy, though, and many are wary of call recording. If you deploy features such as Convirza’s Redaction Pro, you can assure customers that they are fully protected from anyone stealing their credit card information. By reassuring your customers upfront, you may find that you earn the added benefit of securing their trust. If they know your company goes above and beyond to look out for their best interests, they may be that much more likely to listen to your team members’ sales pitches. Plus, you have an added incentive: if you plan to record calls, you must offer customer privacy to remain compliant. Toll-free and local numbers make your sales team far more accessible and trustworthy for both inbound and outbound calls. As a sales team, you must validate the consumer’s feelings that they should never have to pay for a sales call. Similarly, certain consumers only want to buy local. Having toll-free and local numbers directly affects your revenue, even long after the initial sale. Without them, you may notice your churn rate increasing, as customers get frustrated by paying for long-distance calls, and decide to drop your service altogether. However, acquiring these numbers does not mean you need to ditch an existing phone number. One useful sub-feature is the seamless transfer of existing phone numbers, so established customers are able to maintain their current call line, once again keeping in mind minimizing churn. What about the sales team that works as an external provider? Sales software exists which allows your sales team to leverage all of the above features, and seamlessly integrates into your clients’ brand experiences. White label sales call tracking features allow you to deliver white label sales services without having to physically send a contractor to work out of their office. Managing a sales team is no easy feat. Often, you have a wide range of skill levels to tap into, from entry-level cold callers to seasoned business development professionals. To complicate things, the marketing and sales funnels in place may have been grandfathered in from a previous manager. Or, even if you set them up yourself, they may be relying on outdated methodologies or technologies. If you are trying to make sense of your KPIs–with the ultimate goal being to increase quality of service, conversion rates, and revenue–sales call tracking is the perfect place to begin. By leveraging sales call tracking features in available software, you can begin identifying and plucking low-hanging fruit. Call tracking features don’t stop at an overview, however, as more sophisticated tools bring greater sophistication to your company’s marketing and sales funnels. 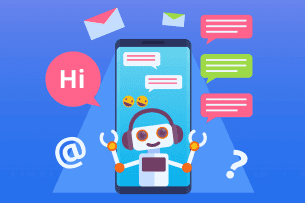 You can automate the segmentation of prospects with lead-scoring, minimize missed calls with automatic forwarding, optimize call backs with voicemail drops, and much more. Your company expects results. Fortunately, you have the tools at your fingertips to deliver–and, if you are on a budget, there are even open source call center software options.The sales call tracking features above will enhance your sales figures. We hope you find sales call tracking software as useful as we do!